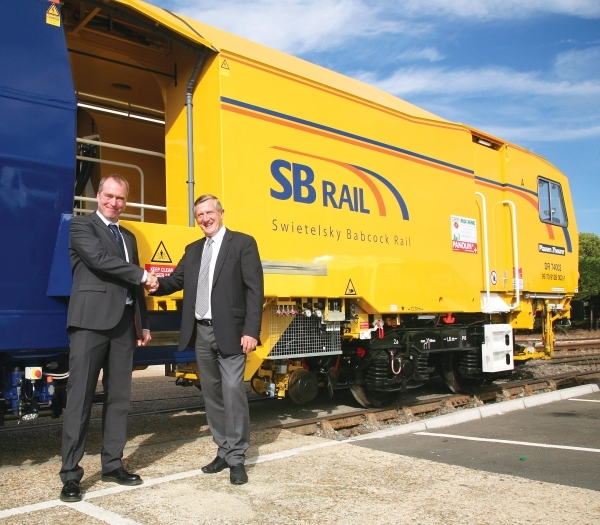 The sister machine to the first 09-4×4/4S Dynamic introduced by SB Rail in 2014 has arrived in the country and is undergoing final testing and commissioning. “We’re delighted to be taking delivery of this second 09 Dynamic machine, further demonstrating our commitment to investing in the latest tamping and stabilising technologies available. This latest addition takes our DTS equipped fleet to four machines, which are increasingly enabling higher hand back speeds across the rail network”. The 09-4×4/4S Dynamic is the most advanced tamping and stabilising machine available in the UK and provides high output capacity on both plain line and S&C.